Seeing a primary care physician who knows your health and medical history is the best way to prevent or manage diseases. Regular checkups, physicals, immunizations, and other forms of preventive care save lives. 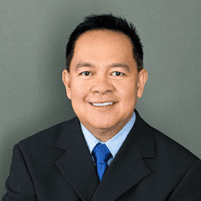 Call Dr. Gilbert Sunio at Sunmed Health and Weight Management in Visalia, California to take the first step toward better health and disease prevention. You can also book an appointment online. If you have a chronic disease or other health condition that requires more specialized health care, your primary care physician is an excellent source for referrals. How often you should get a physical depends on your age and overall health. For example, younger adults may not need a physical exam every year if they observe healthy lifestyle habits. Adults age 50 and older should generally have a physical exam every year — more often in some cases. Dr. Sunio will let you know how often you should come in for a checkup to maximize your health and monitor or manage disease risks. Receiving immunizations is an excellent way to avoid getting sick. For example, the HPV (human papillomavirus) vaccine protects against the cancer-causing HPV virus; one in four people in the US are thought to be infected with HPV. Other vaccines help prevent you from getting sick from the flu, shingles, whooping cough, rabies, hepatitis, and many other illnesses. Talk with your doctor about which vaccines are appropriate for you based on your age, gender, and lifestyle habits. If you’re looking for a board-certified physician who takes a patient-centered approach and listens, call Dr. Sunio at Sunmed Health and Weight Management or book an appointment online today.